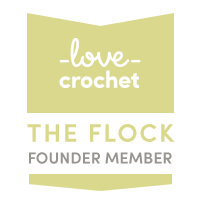 Little Conkers is based in my home in Rudgwick, West Sussex. but I also love that my customers hail from all around the globe! Do let me know where you are visiting from! You can also get in touch with me on Twitter, Instagram or message me on Etsy. Please also check out my Facebook page (latest posts below) for more photos, special offers and work-in-progress updates. If you’re on Ravelry, do say hi! I encourage you to read my Terms and Conditions before placing an order. If you’re looking for my downloadable Returns & Refunds Form as required by EU distance selling regulations, you’ve found it.